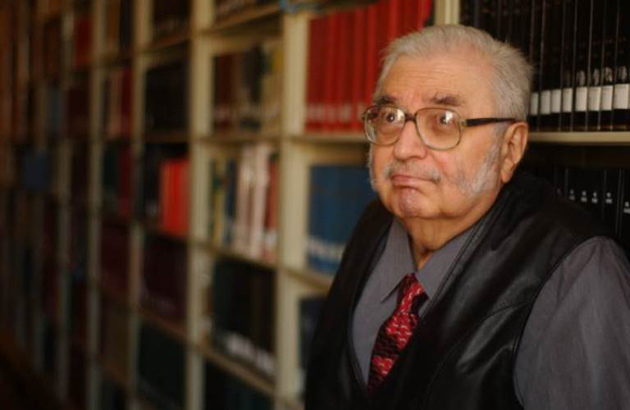 J. León Helguera, who taught history at Vanderbilt University for 28 years and acquired rare books, newspapers and photographs now part of collections at Vanderbilt and the Library of Congress, has died. He was 88. Helguera, professor of history, emeritus, died April 20 at TriStar Centennial Medical Center after a brief illness. “J. León Helguera was a prominent member of the generation of Vanderbilt scholars who put our Latin American studies program on the map,” said Joel Harrington, Centennial Professor of History and chair of the department. Born in New York City, Helguera served in the Army from 1944 to 1946, then studied Hispanic and Hispanic American history at Mexico City College, graduating in 1948 with a B.A. He went on to earn his master’s and doctorate in history from the University of North Carolina. A specialist in Latin American history, especially Colombia, Helguera spent much of his life collecting Colombian books, pamphlets, newspapers and broadsides dating from 1831 to the 1980s, according to a story published by The Acorn Chronicle in 2003. “Bogotá taxi drivers were experts on the civil and criminal codes, and the principal newspapers were models of Spanish grammatical correctness, reflecting the general populace’s pride in their spoken and written language,” Helguera told The Acorn Chronicle about Colombia in 1953 when he was working on his dissertation. Helguera donated several thousand antiquarian books and serials from Colombia to the Jean and Alexander Heard Library at Vanderbilt University. An addition to the Helguera collection that included 9,000 printed items was purchased from Helguera with funds from the Heard Library Society. Helguera helped catalog the sometimes-fragile documents so they could be documented in computer files. Helguera’s trove of vintage photographs became part of the collection of the Library of Congress in Washington, D.C.
During his career at Vanderbilt, Helguera was a visiting senior fellow at St. Anthony’s College, Oxford University, and director of the Vanderbilt-in-Spain program. He authored and co-authored countless articles, delivered numerous papers and chaired or served as commentator on many scholarly panels. He taught 20 different courses and directed nine Ph.D. dissertations and 14 M.A. theses. He was the longtime chairman of Vanderbilt Student Communications, an early supporter of Afro-American studies, a valued member of the Center for Latin American Studies and a member of the Fulbright-Hays Scholarship Review Board. Helguera was granted emeritus status in 1991. He was preceded in death by daughter Eugenia Byrd Helguera. Survivors include wife Byrd S. Helguera of Nashville, son Joseph Hamilton Castle Helguera of New York City, and son León Arcadio Eduard Helguera of Nashville. A celebration of life event was being planned. 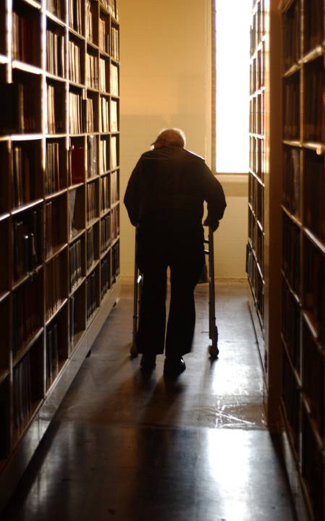 Memorial contributions may be made to the Jean and Alexander Heard Library at Vanderbilt University.